These are the most common questions I get asked about Life Dreams and Legacies. 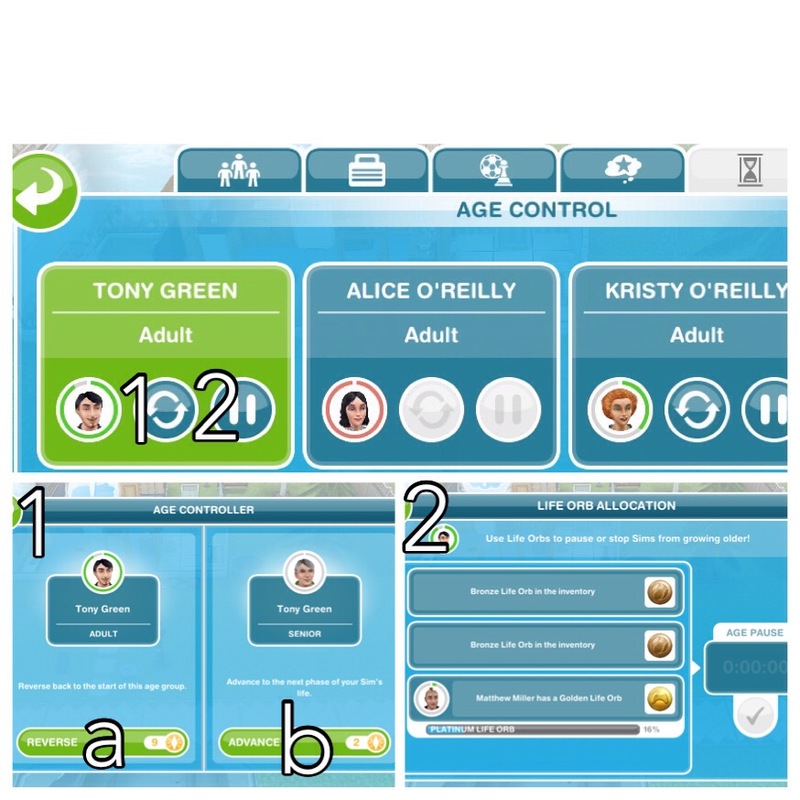 Once you begin the life dreams and legacies quest your sims will start to age automatically. 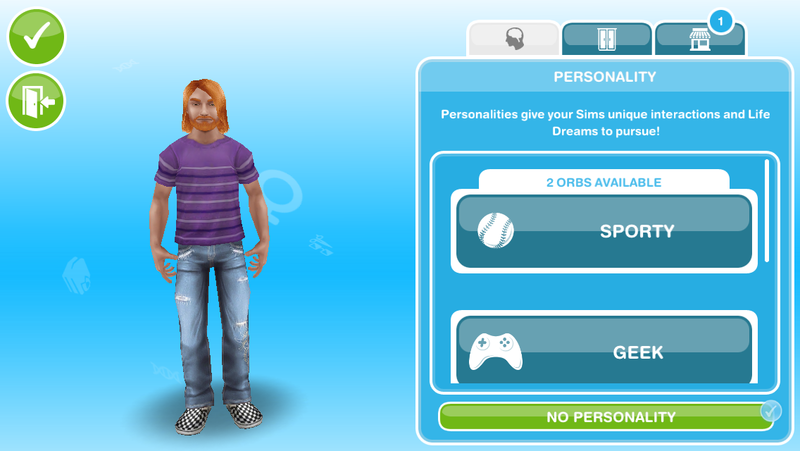 You can also give your sims personalities, to work towards life dreams, if your sim completes all their life dreams in each stage of their life when they die they will leave an orb behind, orbs are used to pause a sims life or build new places. Why can’t I give my sims a personality? You need to complete the life dreams and legacies quest before you can give personalities to your sims. If I don’t give my sim a personality or life dream will they still age? How long does a sim last in each stage before they automatically age? A sim will only age when you are on the game and these times do not mean your sim will age after its been that many days, they need to do the amount of actions that add up to that many days first. Why can’t I give my sim a life dream? 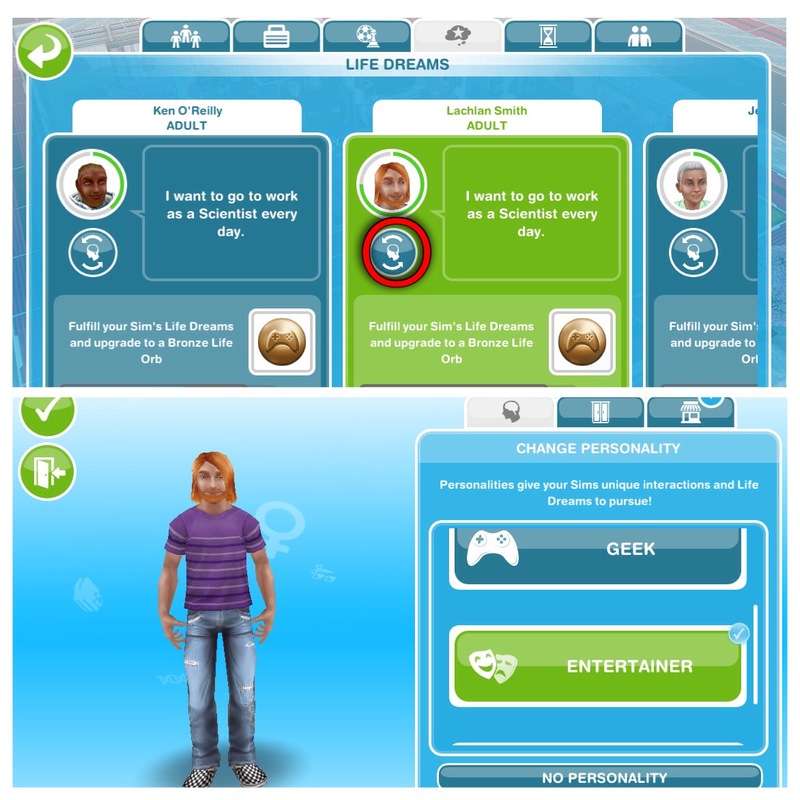 Complete the life dreams and legacies quest then give your sim a personality to be able to give them a life dream. How do I give my sim a personality? 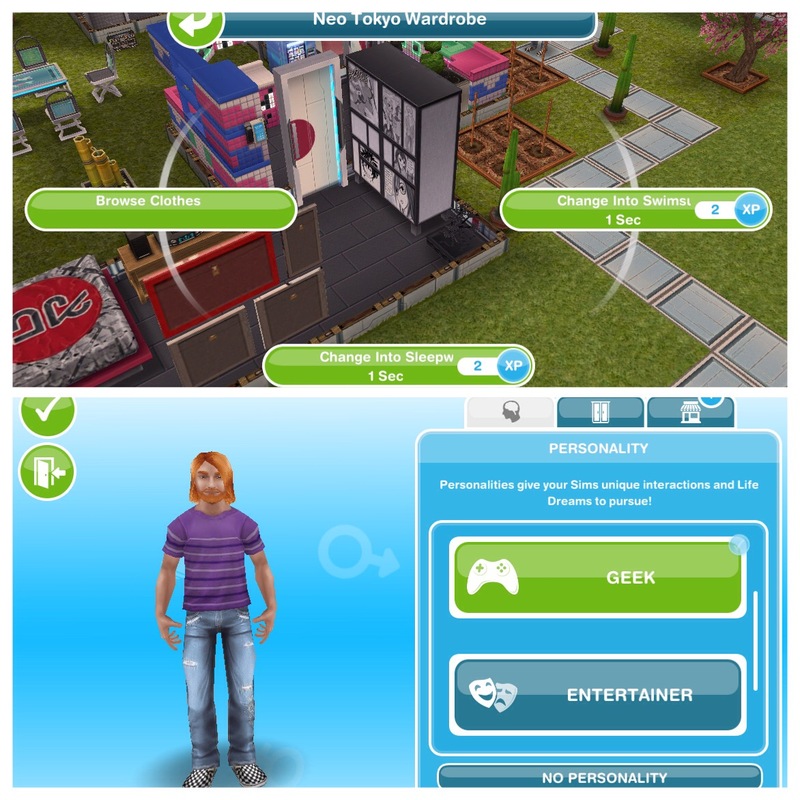 In create a sim or if you want to give an existing sim a personality by selecting the browse clothes option on a wardrobe, personality is the first tab. How do I give my sim a life dream? Where is the life dreams tab? 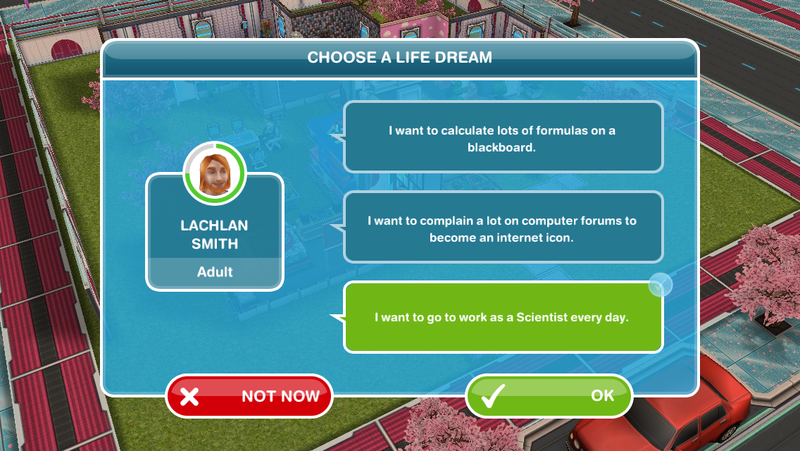 On the sim information panel (which shows your sims jobs, hobbies and relationships) one of the tabs now shows your sims life dreams. Can I change my sims personality? Yes you can, on the life dreams menu, click on the head with the arrows around it as shown in the picture below, this will take you back to the personality menu for you to pick a different one. Can I change my sims life dream? You can but only by changing the sims personality as explained above, you need to change it to a different personality then back again to be able to choose a new life dream. What happens if I change the personality of my sim who I previously gave a life orb to? Do I lose that life orb or does it go to my inventory? You won’t lose the orb, you will find it on the ground next to the sim whose personality you changed so you can place it back in your inventory. Will life dreams take up all my sims time? Are relationships worthwhile when trying to complete life dreams? Honestly no, getting married just for your sims to pass on and die isn’t really worth the 10LPs it costs you for the best ring! Personally I don’t bother about relationships while I am trying to build all the places that require orbs, once I have, I can start earning platinum orbs to build my town up with sims who cannot age and then they can have relationships and families again. What are the geeky life dreams? What are the sporty life dreams? What are the entertainer life dreams? What are the pet fanatic life dreams? Does completing tasks with lower star rated items (action takes longer) give you more life dream points to complete life dreams faster than higher star rated items? No, you get the same amount of life dreams points regardless of the star rating the item has. When choosing a life dream, is it better to choose longer tasks or shorter ones? 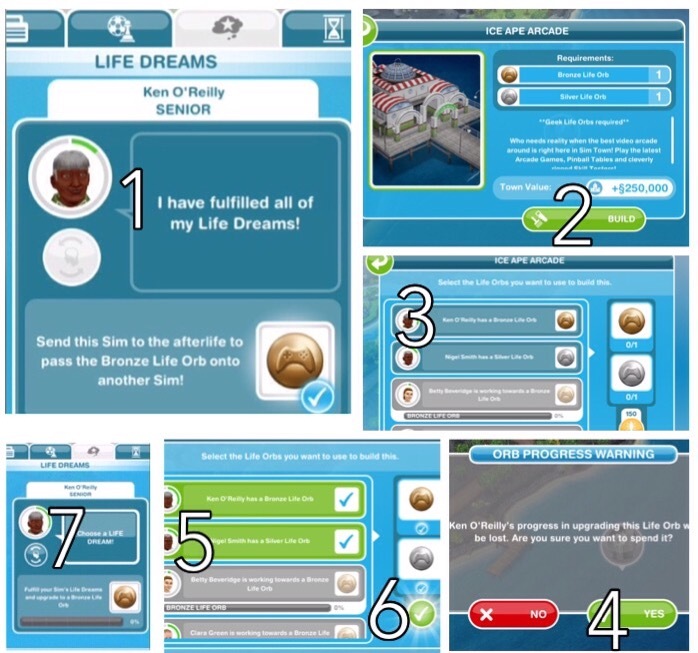 I always go for the longer ones, as I cannot play all day to put each sim on their life dream task several times but it is personal preference, I find it easier doing longer tasks but you may be able to play on the game for longer each day so you prefer shorter tasks. Can I fulfil a sims life dreams in one life stage? If you start life as a toddler don’t expect to have the life dream completed by the time you reach your preteen years, you can only do so much at each stage before you have to age up to complete the next section of the bar. Unless you give a senior sim a personality then they will have to complete one life dream to fill up the whole bar in only that stage. What is this bar they have to fill up and how much can they fill up at each stage? If a sim doesn’t complete a life dream at one stage can they catch up on the next? Yes! Don’t worry if you don’t manage to complete your toddlers life dream, there is plenty of time left to catch up. Does completing life dreams at the earlier stages count towards the overall amount needed to complete the orb? Yes, as mentioned above, it definitely does! At which life stage is it best to start earning an orb? Everyone has a different opinion on this, I personally prefer adding new adults to empty houses and start working towards a life dream from that stage, the downside to this is they don’t have much time left to do anything other than their life dream (which is why I choose career life dreams when possible) but its cheaper than adding a new baby each time and it means they don’t have to have 5 different life dreams throughout their life, they will just have 2. If a sim started working towards a life dream as an adult, would it take more time to complete their life dream than a sim that had been working on earning an orb since they were a toddler? Yes it would take more time because they are having to fill the bar right from the start. Can I get orbs without killing off my sims? What places can I build with orbs? Do I need to use simoleons or LPs to build these places as well as orbs? No you don’t, if you don’t have enough orbs though you can use LPs instead but you will need a lot of LPs! What is the age controller and how does it work? 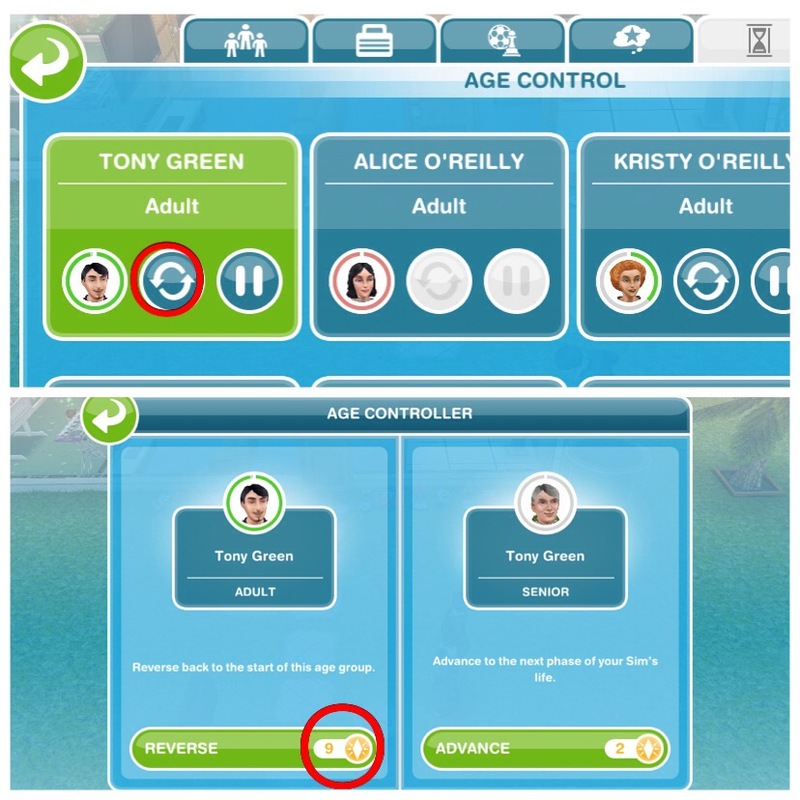 The age controller is the tab that allows you to age a sim early, reverse a sim to the beginning of that stage or pause a sims life. Does it cost LPs to age a sim? Only if they haven’t completed their life dream for that stage yet or they aren’t ready to age. Once their timer turns red or they have completed their life dream at that stage you can age them for free. How do I pause my sims life? Your sim is now paused! NOTE: the sim you are pausing does not have to have the same personality as the orb you are using to pause them, they don’t even need a personality to pause them and they can be any age! How long do different orbs pause a sims life for? Do I need an orb for each sim I want to pause or can I pause them all with one? If I pause a sim can I change my mind and make them age again? Can I make a paused sim reach the next life stage without turning ageing back on? How does reversing a sims age work? 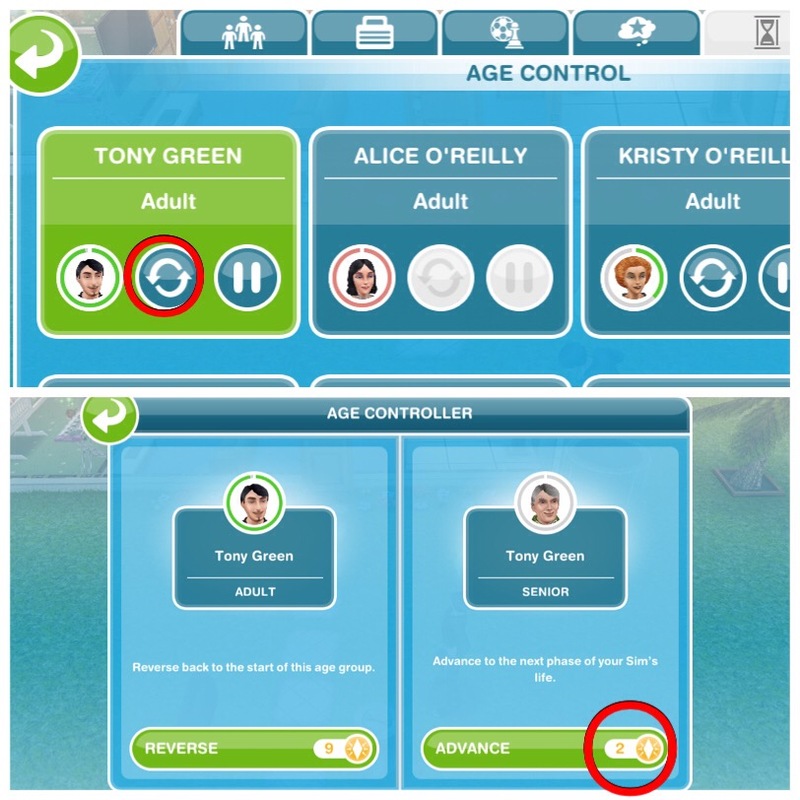 On the age controller you can choose to reverse a sim back to the beginning of that life stage, this is useful if you want to keep your sim alive and at a certain age while you are trying to earn a platinum orb to pause them forever, it can also be used to give a sim longer to complete their life dream at that stage if they haven’t managed it yet. UPDATE: reversing your sims age when they reach the end of that live stage is currently FREE! How does advancing a sims age work? You can age them early for free once they have completed their life dream for that stage which is useful if you want to earn orbs fairly quickly or if they are at the end of that stage. It will cost you 2LPs if you choose to age them early before they have completed their life dream for that stage or are ready to age. If I have them plant after work, does that age them sooner? Yes they will because they will be busier completing actions for longer. When sims automatically age, what happens to their hobbies? If a hobby is still available at the next stage of their life then they will keep their hobby, for example, a teen with the cooking hobby will still have the hobby when she becomes an adult and also when she becomes a senior. If the hobby isn’t available at the next stage, for example, a toddler with the finger painting hobby would have to pick a new hobby when they become a preteen. BUT if they reached the highest level in that hobby before ageing all the collectibles will still be unlocked so the next sim could complete the collection without having to reach the highest level. If they didn’t reach the highest level before ageing then a new sim would have to level up from level 1 to be able to complete the collection. This post explains hobbies in more details. How long does it take to fulfil a life dream? It depends on what the life dream is and what orb they are working towards, platinum orbs take a lot longer than bronze orbs! How can I see how long my sim has left in that life stage? Will my sims age when I’m not playing? No, your sims will only age when you are on the game. My sim has completed their life dream for that stage, can I age them before their timer is up? Yes, you can advance them for free by clicking ‘advance age’ underneath their life dream on the life dream tab or by selecting ‘advance age’ on the age controller. Why didn’t my sim get an orb when they died? If your sim didn’t complete their life dreams by the time they died then they will not leave behind an orb. If I have gone from a silver life orb to a gold life orb, do I now have 2 life orbs, or do I only have one? You only have one because you are upgrading the silver to a gold, so the silver orb becomes a gold orb. How do I get a bronze orb? How do I get a silver orb? How do I get a gold orb? How do I get a platinum orb? How do I give my sim an orb to upgrade? How many times can you use an orb? Orbs can only be used once. 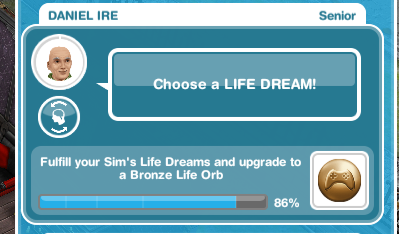 I’ve paused my sim with a platinum orb but it wants me to pick a new life dream, would I be able to get the orb off that sim without them dying? 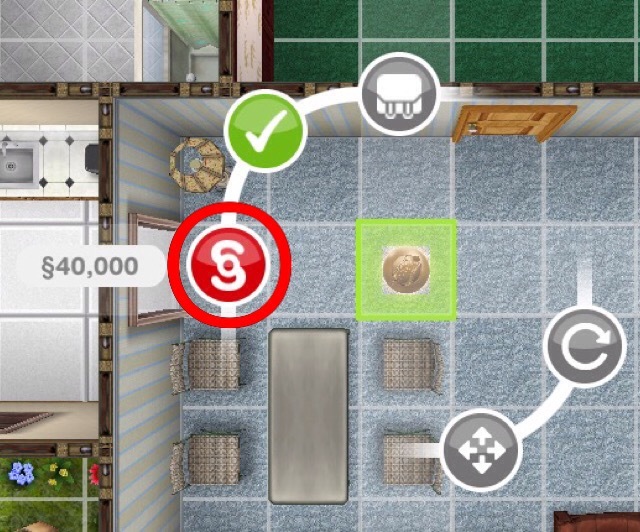 If you still need to build places then yes as you will be able to get the orb off the sim without them dying (how to do this is explained earlier in this post) but they will need to be paused as a senior to earn the orb and if you have built all the places there is no reason to give your paused sims a personality as you will not be able to give any orb they earn to another sim without passing on. How do I store an orb? How much can I sell orbs for? How can I sell an orb? Why is the grim reaper at a senior sims house? The grim reaper shows up just before your senior sims timer is up, he is there to pass your sim on to the afterlife. How do you send a sim to the afterlife? Then the grim reaper will come and send them to the afterlife, leaving the orb (if they earned one) in their place. Does the game restart when all your sims die? No, when a sim dies your sim count will go down so you can replace them by adding a new sim. Should I complete the life dreams and legacies quest? I get asked this question all the time and it is incredibly difficult to answer. I can’t really tell you what to do and my opinion may be completely different to yours. All I can say is; if you don’t want your sims to die, don’t complete this quest, you can always change your mind and do it later! Can I just not complete the life dreams and legacies quest so my sims don’t die? What happens if I don’t complete the quest? Nothing happens apart from your sims won’t age and you won’t be able to build the arcade, beach, carnival or pet park. Can I still do discovery quests if I don’t do this one? I have just started the quest, why are my sims already ageing? Your sims will start ageing as soon as you start this quest so that is why you need to stay on the previous quest if you don’t want your sims to die. Should I give all my remaining sims life dreams once I complete the quest? If you want to start working towards life orbs straight away then yes, there is no time limit to earning them but they will automatically age anyway, with or without a life dream. Are there any ways I can stop my sims dying? If you have special sims that you don’t want to die but you are still working on getting a platinum orb you can just leave them not completing any action because as long as they aren’t doing anything they will not age, then when you are ready to pause them they can start doing things again, such as gardening or going to work. Yes any action in the game will cause your sims to age, do not waste hours of their life hibernating if you don’t need to. Are there any ways to age a sim quicker? Do I still need birthday cakes once I complete the quest? No you don’t, you can if you want to bake a cake still but it is cheaper to advance a sims age using the method explained earlier in this post. Can sims die at any other stage? No, sims can only die once they complete their life stage as a senior. What happens to your senior sims house if they die and no one else lives in the house? Does the house get deleted? No, the house will remain it will just be empty, when you click on the house you can select the option to add a new adult sim, this is free or you can relocate an existing sim or family and that costs money. What happens to pets when their owner passes on? Do they die? Pets will remain in the house they live at, they can’t die. If you want to move a pet to another family click on the pet and select relocate. Can I move a toddler to another house? His parents passed away and I want to use that house for a new family. Do sims grieve when one of them dies? No, your sims will no longer grieve when another one dies. Can you get a sim back once they pass on? No you can’t, they will be gone forever unfortunately. Will a new sim be added automatically when one dies? No, but your sim count will go down so you can add a new sim. How much do babies cost once you finish this quest? They now cost simoleons, the amount varies depending on how many sims you already have in your town. If you can think of anymore questions about life dreams I haven’t answered please comment below and I will add them to the post. Unfortunately it is too late once you get to that point, your sims will start to age automatically from now on. Thanks to this blog i found out just in time i should not finish the last task (heat hands). If you finish the last task it’s too late. I think EA should make it an option to turn aging off. I’m on the last task “have a baby”. The problem is that when I buy a crib and place it in a house, the symbol that should appear above it doesn’t appear, witch means that I can’t add a baby to my game so I can’t finish the quest. I have 23/24 sims in my town so that’s not the problem. There are not too many already living in the house and the couple who live there are married (I have tried to add a baby in different houses). How many sims are living in the house where the married couple are living? 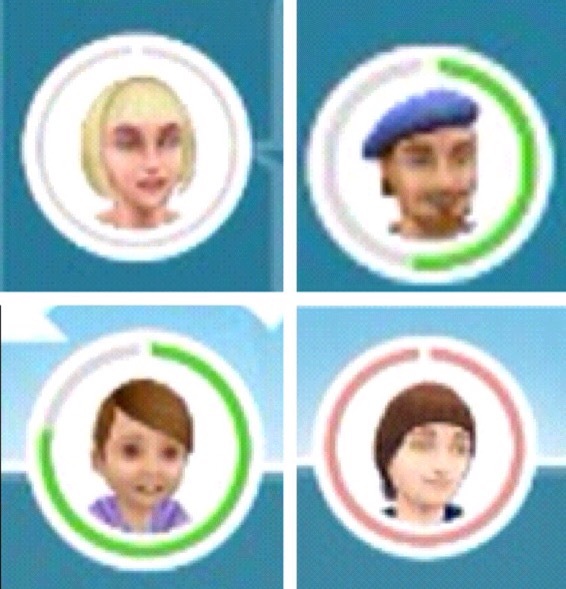 As you can only have 4 sims living in a house at one time. If this has been addressed elsewhere on your site, I apologize in advance. I searched but couldn’t find the answers. I’ve read that the lp requirement for reversing aging was removed in the French Romance update. Is this still accurate or do you have to pay lp again? People asked about this on Facebook, but EA didn’t answer. 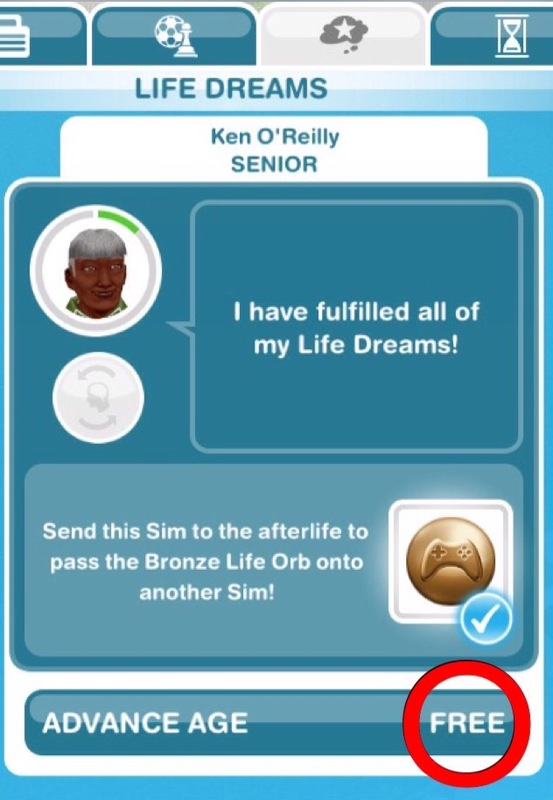 I haven’t completed the Life Dreams quest because I don’t want my sims to die or spend weeks or months trying to earn a platinum orb just to save one sim. Also, construction times are getting ridiculous. The construction time for the current house I’m waiting to complete is three days. These aspects of the game are not fun at all. Have you ever built up an entire town? Is there a cap at construction times and simoleon requirements, or do buildings just keep taking longer and longer to build and get more and more impossible to purchase? Thanks for all your hard work on this website. It has helped me a lot in completing quests on time. As of the latest update the cost to reverse a sims life is still free but I am unsure how long it will stay this way! 3 days is the maximum it takes to construct a house but the cost depends on the house you want to build, that increases each time you build a new one. It is up to you, I cannot tell you what to decide all I can say is, if you don’t mind your sims ageing and dying then do the quest, if not then don’t do this quest. You can start the previous quest but you need to stay on that one and not complete it. I have two senior sims who are parents (because I wanted to see if they could have a baby). The mom has fulfilled her life goals and is in the red with how much time she has left, but she doesn’t seem to be aging since the baby got here. Will she pass away on her own or do I have to make her? She will pass away on her own, if she isn’t doing many tasks right now she won’t be ageing. If you wanted her to age quicker have her do a task that takes 1 day to complete as the longer the task the quicker they age. It seems like you can pause them as many times as you want to! Yes, if you complete it after the time limit you will still be able to access the new places and your sims will automatically age you just will not get the singing salmon for completing in the time limit. I have another account now but i keep forgetting that i havent renovated stuff or bought stuff that i had on the old account. I’m not going to do this quest cos im not on it enough to get then to work on stuff like their life dreams and i really dont want my sims, that i watched grow up from a baby, to die. I also dont want any of them to die i just dont. Im scared that i might accidently complete something which puts me on the quest when i get to it…..
Would you recommend me just doing it? HELP. I’m trying to build the carousel but the game wouldn’t let me use the silver life orb. It says that it is in the inventory and won’t let me click on it. The carousel requires 3 gold entertainer orbs and 1 platinum entertainer orb so you can’t use a silver orb on this. 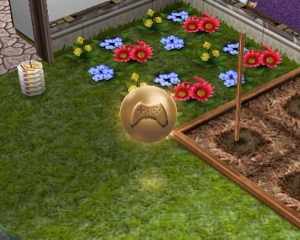 I personally would just make them plant until their time is up but if you really wanted to do this you firstly need to remove the orb they have already and you can only do this by using it on a building, you can’t pass it onto another sim (this is in the post under how do I get an orb without killing off my sims) and then you will be able to give them a new life dream. First of all, I apologize if these questions might have been asked before. I just really want to earn a platinum life orb in two weeks or less and I want to know: should I select life dreams with the longer options or should I select the life dreams with shorter options? Which would help me fill up the bar quicker? Thanks for the help and congrats on 51Million hits! 😀 Woah!! I recommend you select a life dream with a longer option but it is personally preference, if you can be on the game constantly then you may find a shorter option would be quicker for you, if you can’t do a longer option. Hi.. Thank you for your blog. I have a question, as now I haven’t complete my career in hospital as nurse and doctor, but my nephew had just “smartly” finished the previous quest. What would happen to my doctor and nurse? Is their progress will be gone? I also haven’t finished building my hospital. Oh no! At the moment you should be okay because when they reach the end of their time in that life stage it asks you if you want to age them, you can now select no for free so it won’t cost you anything to keep them as adults, I would recommend you do this until you either earn platinum orbs to pause them forever or until they reach level 10 in those careers otherwise you will have to start again with a new sim levelling up to finishing building the hospital. Thank you so much. I’m so relieved to hear that. Can you still use the cakes to age them? Or are the cakes just useless after the quest? 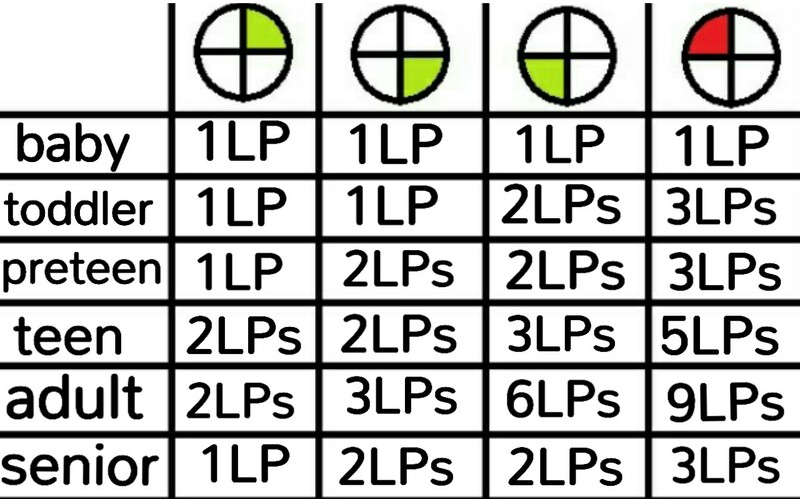 There is no longer any need for cakes, you can advance ageing when they finish their life dream for free or advance early for LPs which is cheaper than a birthday cake, please read this post for more information. How does the percentage work when you are working on a life dream? For example, my sim wants to read encyclopedias. Everytime he does, it adds 1%, is there any way to make it add more each time I read an encyclopedia? Thanks in advance and I hope this made sense! Hi!Thanks for this blog, it’s been very usefull for me! I’ve read almost everything about Life dreams and legacies quest, just to realize I don’t like it. Firstly, I want to build my town as much as it’s possible and then I may be prepared to start a task. I think you’ve told us already but I want to be sure, when my sims die, can I remake them again with the same name and place them in the same house? And does the number of sims in town decreases by one’s death? So I’m not sure why are so many people complaining by the death if they can make Sim again. Or am I missing something and it’s not that simple? Thank you in advance for answer. You’re welcome! Yes, when they die you can recreate them exactly as they are and the number of sims in the town will decrease, they are complaining because its hassle to recreate sims when they pass on and you have to get them back up to the level they were in their career or hobby. After my sims pass on to another life, the house left empty. Sims count go down but there’s no Add new sim button available at that empty house. 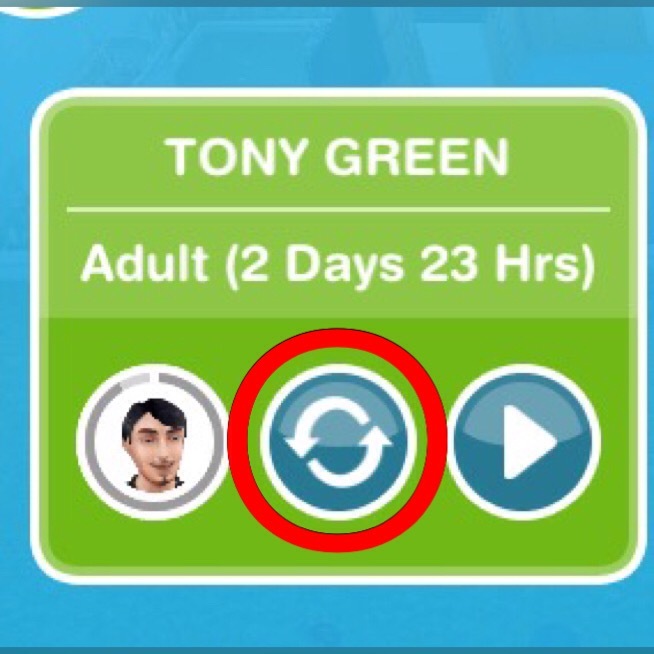 How can I add new adult sim there? Thank you. I have a married couple (havent got any babies yet) and my sim count has yet reach limit. I did put a crib in the house of that couple but I still cannot add baby sim. Please help. Do you already have 4 sims living in that house? If so you will not be able to add a baby to that house, you will need to have the married couple living in a house on their own so you can add the baby. That is really strange! 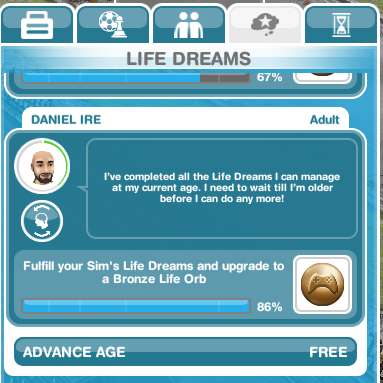 I haven’t noticed it as I don’t complete life dreams with any sim who isn’t an adult but it is more likely that it is a glitch than an update because I don’t think it makes any sense to change the bar to fill up beyond their age. If it really is bothering you then you might want to contact the makers and find out if it actually has been changed! Have you filled the bar all the way to the end yet? They have recently changed it so you don’t fill it up to the preteen point anymore you have to fill the whole bar up to complete the life dream for that stage. I think the issue re: progress bars is they’ve changed it so when you “max” the bar at each stage it only gets to the percentage of life orb that can be achieved – i.e for an adult the bar only shows what an adult can get to, and when you max it the percentage at the end says 86%, rather than before where you could see the whole potential life span and what was left to fill when you got to the end of a stage. Yes I’ve just noticed that myself, I really don’t understand the need for this change personally! If a person in house A earned an orb, and you give that orb to a Sim in house B, is there a difference in life dream XP or anything else? ie. would it be better to give the house A orb to a new person in house A, instead of house B? 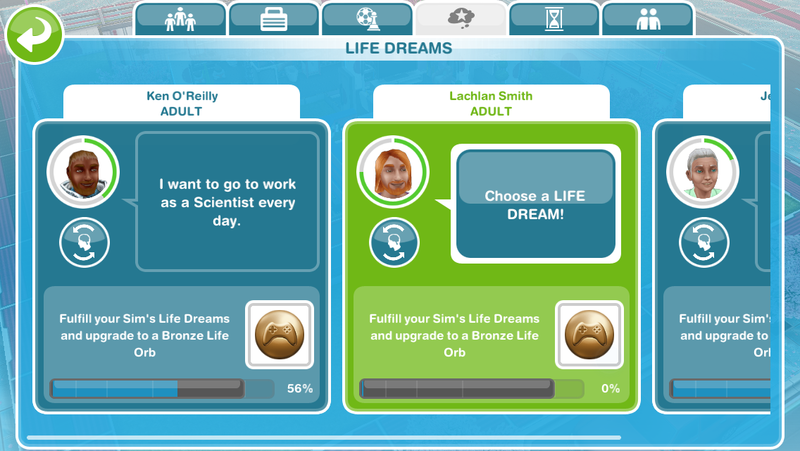 When you give the orb to anther sim you can choose a life dream from that personality so if it was a bronze geeky orb then your second sim will have to choose a geeky life dream but the sim you give it to doesn’t matter. 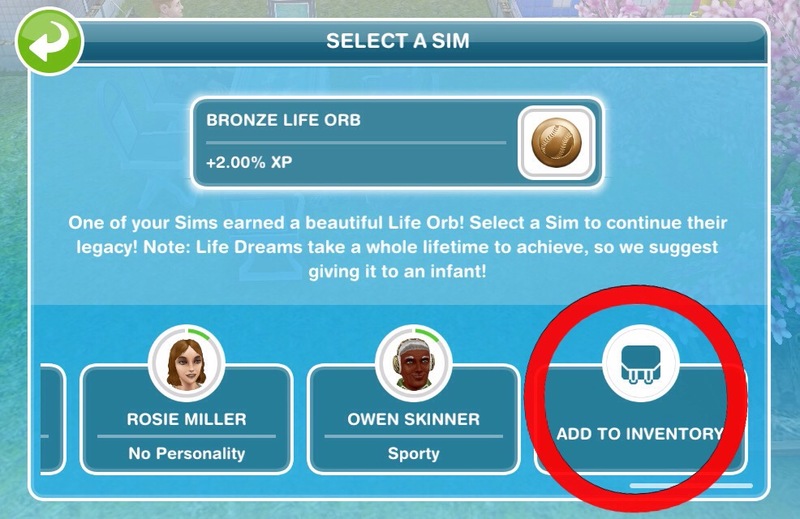 I personally just store them in my inventory and when I add a new sim I give them the orb from the personalities menu although you can do this with a sim already in your town from the wardrobe. Do you mean when you click on advance age? They will age up instantly. I love your site, it’s so helpful and well laid out! I have a question about babies. I know you’ve said once you do the life dreams quest babies cost simoleons and the amount varies, but could you give some sort of baseline or range? I can’t fine anywhere on the internet anyone listing it and I’d like to know before I bother getting another couple married if it will be worth the money to buy a baby. Ideally I’d like a chart if you know how much they cost for each number of sims in town, but if you don’t have that info just a single data point would be helpful. Thanks! Also, I just donated some money to you. I wanted to send a note with the money but there wasn’t any spot for it. Thanks again for doing this website, it must take a lot of time and effort. Thank you so much! I hope you got my email to sent to thank you! And sorry for the slow reply to your question on here! Thank you for this post. It gave me alot of information and since I just started playing the game, I have decided not to grow too close to my sims and use them just to earn the platinum orbs when the time comes. Just one question rings in my head: If a geek leaves a bronze orb, then can a sporty sim inherit the said orb and upgrade it to a silver orb? Or do I have to pass it on to another geek? 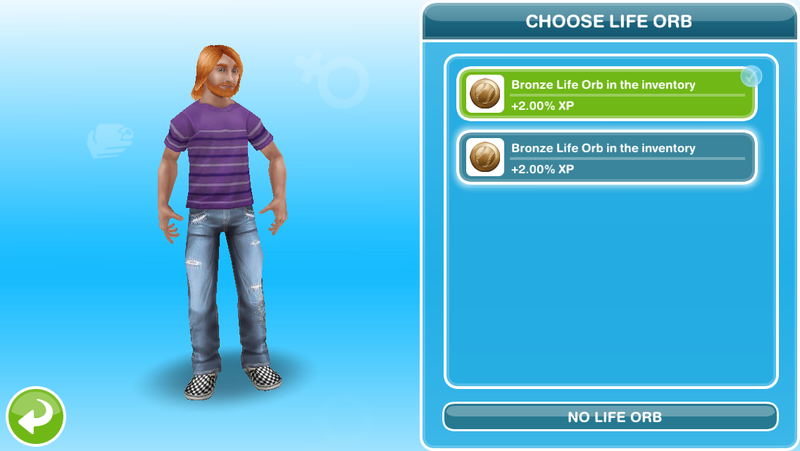 The bronze geeky orb can only be given to a geeky sim, you won’t be able to give it to a sporty sim. Hi, I don’t know if you have experienced this, but after one update, I can now reset my Sims’ age for free. Do you think this will be “fixed” or I should use the platinum orbs to finish the places like the arcade? 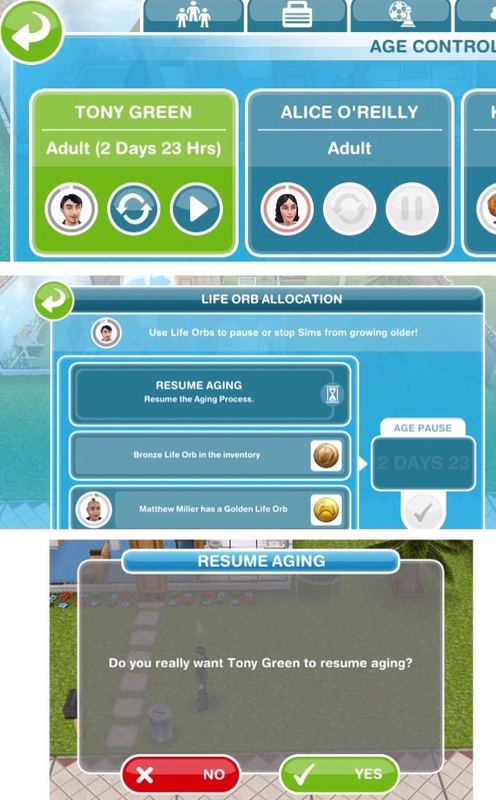 Yes this has been around for a while now: https://thegirlwhogames.blog/2017/02/25/the-sims-freeplay-ageing-update/ I haven’t put it in the post yet because I didn’t think it was going to be a permanent feature (and I am still not sure!) while this feature it around I think you should build the places then if they remove it in the future you don’t need to worry about needing orbs for the places, you can just use them on your sims. I am not sure if some one asked this, but if a Sim with a level 6 cooking hobby pass on. What happens to the progress of the sims hobby? I read several times about actions can age the sim quicker than using cake slices or not doing anything. It is because of this that I chose to start it. I sort of am getting bored with the sims I have now. Maybe change is a good thing. Once they reach level 6 they have unlocked all the items in that hobby so nothing will happen to it, if they pass on and you have found 4 items the next sim will have to find the rest of the items as the items in your collection don’t disappear. It is just like changing your sim to a new hobby. Is it worth it to send my sims to work, or do any tasks like hobbies when I’m trying to figure out the who I am going to have life dreams for? I just finished the Lifedream and Legagy quest. I don’t want to rush in to giving them personality and dreams until I figure it out. I’m really glad they added the reversal of the age in for free! I really like the Animal Carnival. There are so many hobbies that I didn’t complete..and I just don’t find some hobbies practical like the fashion one. After the preteen becomes a teen, is the teen idol hobby the best choice? Adult sims have so many to choose from, and I just haven’t made the hobby switch for some of them. I have 3 sims doing the fashion hobby and have other unfinished ones. I read the post about each of the places that can be built with orbs. I only want to focus on one and I initially I wanted to do the Barkshire pet park but the amount of orbs is a lot and what do you suggest for a ‘beginner’ who want to work on earning orbs to build a place on mysterious island? The hobbies in Petpark seem more difficult when I was reading it, so I sort of don’t want to go that way for the first time. The cat run prize was so expensive! In my opinion the pet park one is the hardest to unlock, animal fanatic orbs seem to take a very long time compared to geeky and sporty orbs, for those I just sent adult sims to work until they completed their life dream but you can’t do that for the animal fanatic one. If you want to build a place you may want to work on more than one at a time as the pet park is going to take a long time! I had a bronze orb and gave it to a baby, it now says when I finish the life dream of the baby it will be a golden orb. I’m confused. Why did it skip the silver orb?. I’m not sure but it sounds like a nice glitch to me, less work for you to upgrade it! I didn’t assign a life quest to a toddler on accident. Now, my toddler seems like a waste because I can’t figure out how to assign a personality. What should I do? 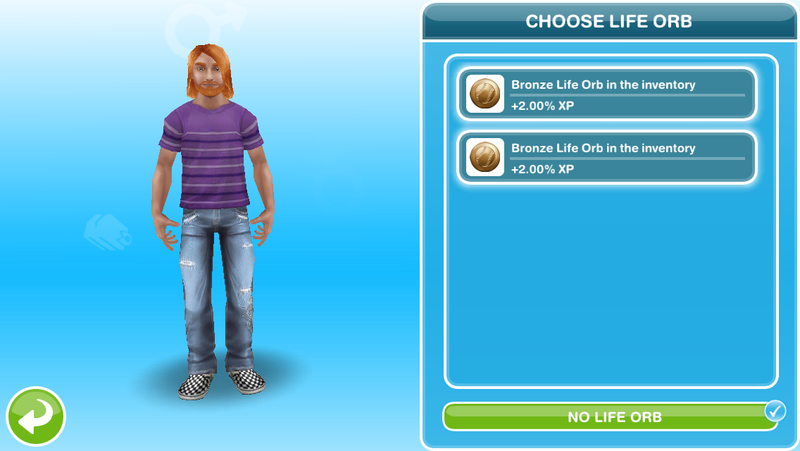 Are platinum life orbs really necessary to keep your sims immortal? Could I not just keep resetting them to the beginning of their age groups? Hi! First off, thank you for an awesome site! Indispensable for anyone playing! I have a bit of a conundrum and I’m about to just give up on. I have a sim doing the animal fanatic life dream, working towards a gold orb. She is now a senior and I have her talking to horses as a life dream BUT she never manages to finish the bar before her time is up. I tried reseting her age to the beginning of the senior life stage and that resets the bar to 86% or whatever they get at the end of adult life. I’ve tried three times now and can’t seem to get to finish her dreams. If I decide to let her move on to the afterlife – will she leave a silver orb behind or will I lose it completely? If I want to give her a new animal life dream as a senior, I’m assuming I have to give her a new personality and then switch back to animal fanatic – but what will that do to the silver orb I already have? How frustrating, I wonder why she isn’t completing it! Hi! I love your blog so much! It helps me in inmense amounts! I have a question, which hasn’t been asked I believe. I know the sims age after a certain amount of days, so if I do not play the game for, for example, 4 hours, do those hours still count for the ageing days? If there are 3 days (this is another example) in which I’m in a hotel without wifi (idk) and I am unable to play the game, would those 3 days without playing the game still count? Or is the life of a sim is determined by the amount of time you play the game? I am worried that there are days in which I do not play the game, and my sims’ life is wasted beacuse it is time I would have been working on their hobbies, carreers, life dreams, and just life! Thanks for the help and amazing blog! I hope this makes sense! Your sims will only age when you are on the game, the actions they complete are what ages them so if you put them to grow pumpkins then don’t go on the game for 3 days they will age 1 day when you get back as that is how long pumpkins take to grow. The game is constantly updated with new quests and events to complete so there is always something to do once you complete all the main quests, the game doesn’t end! or can you just add new sims and continue playing with everything you have? if so then will these sims age automatically too ? You just add new sims and yes they will automatically age too. Could you please tell me which personality is best for getting a platinum orb fast ??.. thank you so much.. The animal fanatic one is the hardest! Can I give life dreams to my adult, teen and toddler sims I created before starting this quest? If yes, then please explain how I can do this. No you have to complete the quest first before you can give your sims life dreams. Can we no longer sell our platinum orbs? I know when you play sims on the computer you can woohoo to have a baby. Once you have started the life legacy quest in FreePlay is there an option for that or do I have to buy babies the whole game? Hi! I love your blog and had recommended it to some of my sim-playing friends. I really don’t know if anyone has asked this yet, but why can’t sims pets die? Since they also go threw life stages, why not age automatically along with sims? Say if I buy a puppy after I completed the life dreams and legacies quest, why don’t they age into a groun dog like a baby into a toddler? BTW, thanks for all your tips and advise with this quest and the rest! 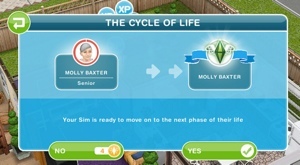 Your sims will start to age but you can reverse their age for free so they can return back to the beginning of that life stage if you don’t want them to age and die.